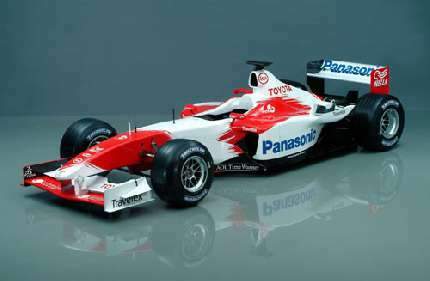 Home » Motorsports » Formula 1 » Toyota V8 Power! Here’s an interview with Toyota’s technical director of engines on the 2006 V8 engine which the team tested recently. The engine is expected to produce about 730-760 horsepower which is about 80% of the best V10 engines of the 2005 series. The engine will rev higher than the V10s currently. How long have you been working on the new Toyota V8 engine? Is it difficult to run parallel V10 and V8 development programmes? Presumably you started work as soon as the V8 rules for ’06 became firm? Do you have specific targets to achieve for the start of next year, in terms of horsepower and revs? What are the major design issues with a V8? Why does a V8 engine vibrate more? How has the shakedown gone at Jerez? Is an eight-cylinder engine new territory for you personally?